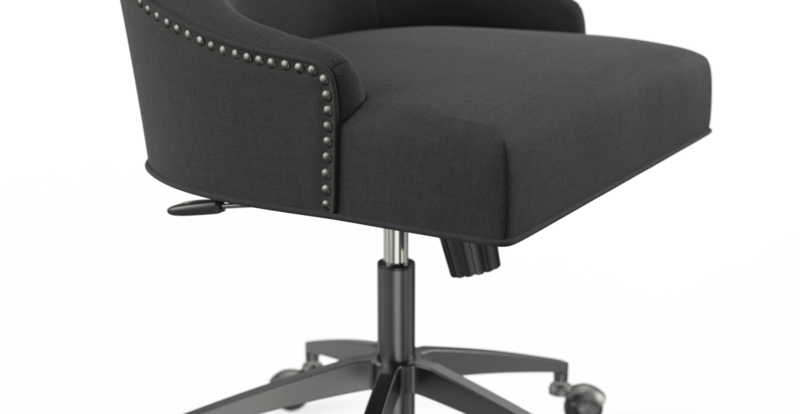 When it comes to style, the Zoe Office Chair means business. This stunner has soft edges and a sweeping silhouette. Finished with simple brass studding. Who knew corporate could be so cool? Sink into the softness of the Zoe. A deep foam filling lets you in comfort for hours. Perfect for long meetings and business calls. 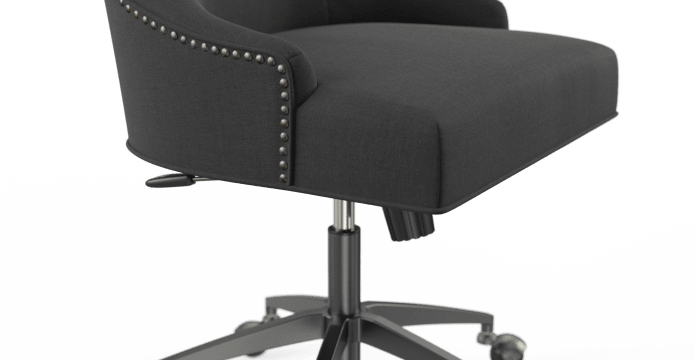 Find more chairs from our complete collection. Swivel the seat. Adjust the height. Roll the wheels. The Zoe is agile and efficient. Just like a great business partner. Take your pick from a range of colours and find your fit. With its classic good looks, the Zoe takes you from work to play in an instant. 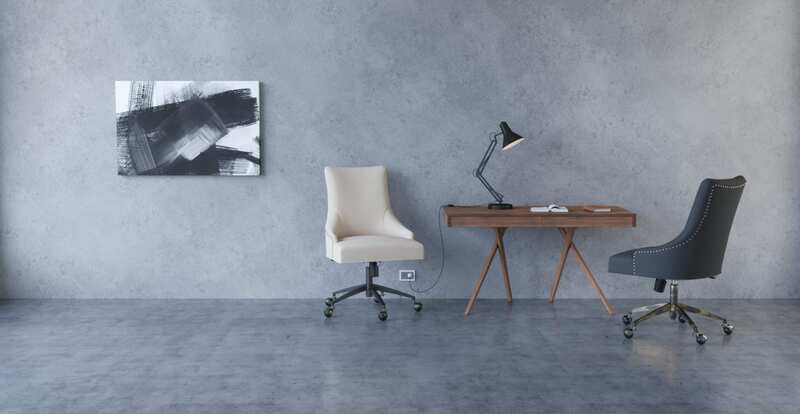 Perfect for a home office or fashion-forward workspace. See the rest of our best selling Zoe Collection. 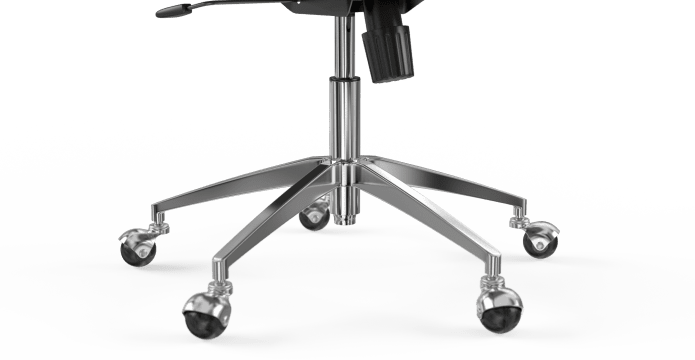 We recommend putting no more than 120kg on the Zoe Office Chair. Quick and clear service, easy to assemble and I liked the instructions were online (nothing to lose! 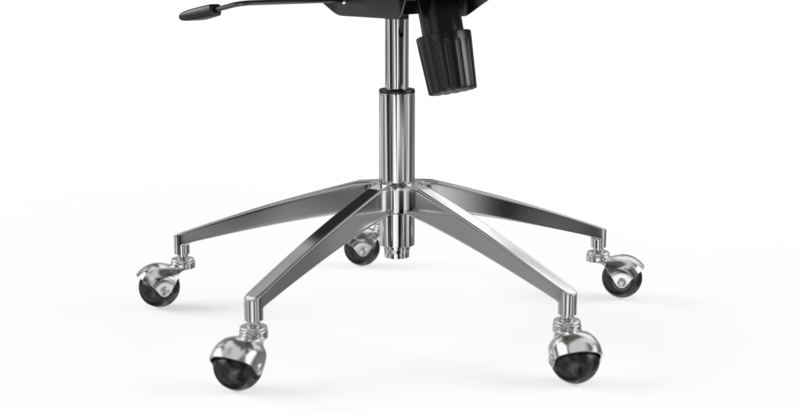 ), lovely chair. See, touch and feel our fabrics used on our Zoe Office Chair. For Free! Simply select up to 3 fabrics and add them to your cart. Delivery is on us. Good news! 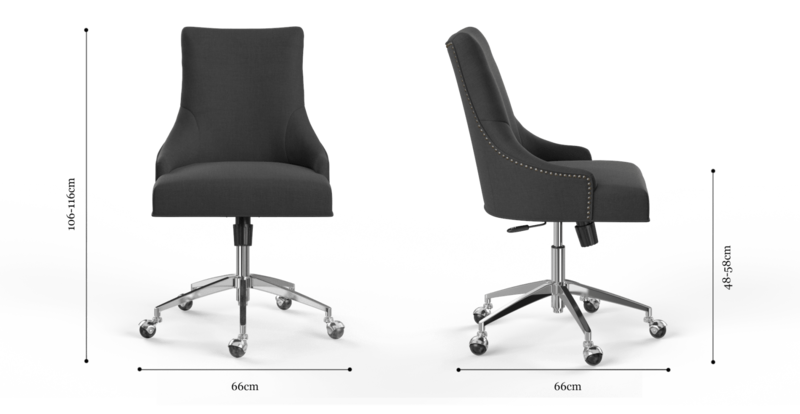 Zoe Office Chair is currently on display in our Alexandria Collingwood studio.